Please help HART and our partners by purchasing one of our gifts. Please note: our virtual gift shop supports the general fund, sending your donation where the need is greatest. Read more here. A generous gift to provide a month's worth of medicine for PAORINHER, the paediatric HIV clinic. 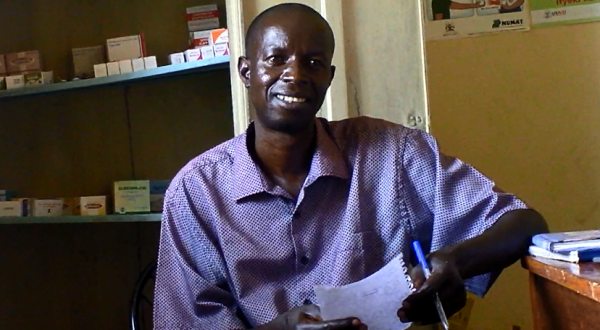 HART’s partner in northern Uganda, the PAORINHER Centre, monitors the health of nearly 800 children and treats an entire community for a broad range of diseases and conditions, including HIV and opportunistic infections. The Ugandan Government provides some life-saving drugs and equipment for free, such as anti-retrovirals and test kits, but it is up to HART and our partner, PAORINHER, to provide the rest. This very generous gift is equivalent to one month’s supply of medicines. This gift supports HART’s partners via the general fund. Find out more here.